The winery was dim and vast with a high beamed ceiling and a fieldstone fireplace that took up one entire end of the room. A round dark wood tasting bar stood in the middle, surrounded by several high-top tables and stools. One corner was the store with shelves of wine-themed tchotchkes of all kinds, while the back wall was nothing but racks and racks of bottles. A light shone from an office just to the right of the front door and plastic totes were piled haphazardly in front of an open closet nearby. Sam cleared her throat. “Mr. Flaherty?” Her voice echoed slightly in the immense space. She marched over to the office, her heels clicking loudly on the hardwood floor. Nobody was there, although several photo albums and scrapbooks lay open on a rather cluttered desk. She glanced at her watch and then at a large wooden clock above the mantel. Nine on the dot. Obviously someone was here. 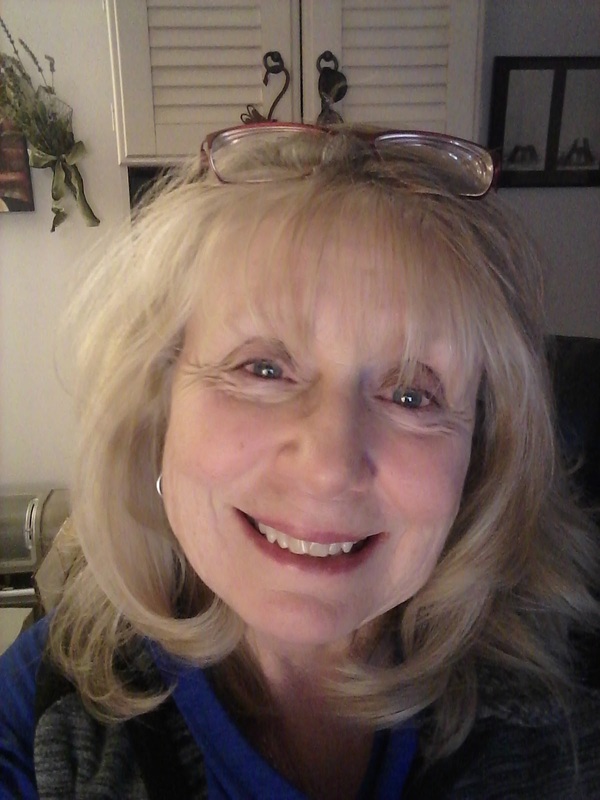 "The characters felt so real and the plot scenes were very well-developed, which allowed the reader to feel a part of the story. . . . This was an uplifting read in anticipation of the Holiday Season." "It has hope, grief, and a cute four year old girl at Christmas time! . . . With Christmas themes that remind me of the season, this book was very enjoyable." When he glanced out at Sam, she was all business with a manila folder open in front of her and a legal pad set to one side. The bottle of Gewürztraminer she’d brought up from the cellar had been set aside, along with the two glasses as she sorted through a sheaf of papers in the folder. The woman was an enigma—a very attractive enigma to be sure. Again he was shocked at his level of interest, but now that he knew who she was, it was probably a bad idea to pour more wine. An intriguing notion, though . . . and she had brought the bottle up. Sean might have warned him that Sam Hayes was a woman, but it probably hadn’t even occurred to him to mention it. To Sean, she was simply an associate in his firm, not a potential mate for his widowed younger brother. Her voice made him think of zin or petit Syrah—sultry and husky and as captivating as wine and chocolate. As a matter of fact, everything about her made him hungry, and that was something entirely new and unexpected, too. Since Emmy’s death, most food had tasted like ashes. He cooked for Ali and he ate because it was important to keep his strength up, but there was no pleasure in it anymore. Suddenly, as he eyed the new Gewürztraminer, he longed for apples and cheese and a loaf of warm crusty French bread. 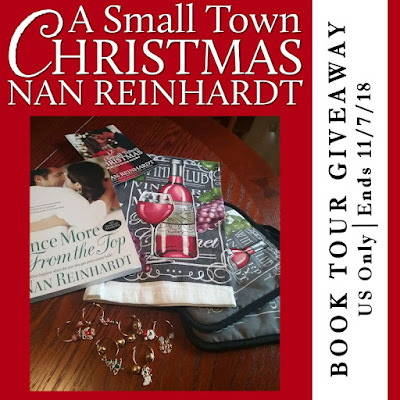 "A Small Town Christmas by Nan Reinhardt perfectly captures the essence of love in a small town. . . . A bit of Christmas magic and a whole lot of love make this a wonderful story for the holiday season." "This is the first book I have ever read by this author and what a treat! I loved the small town feel to this book. It really captured all the familial charm, especially with the Christmas background. 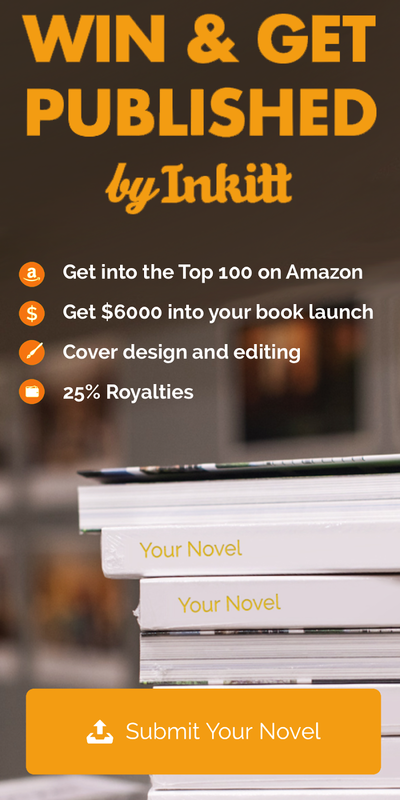 There were a lot of secondary characters in this book but I never felt overwhelmed with keeping them straight which is a credit to the author." "I LOVED reading about Sam and Conor’s love story. I loved how a small town romance can open up our own hearts to love. When you first introduce us to Sam, Conor, and his daughter you can see how much of a gentlemen he is." "A Small Town Christmas is a sweet, feel-good holiday themed romance! The first book in its series (Four Irish Brothers Winery), its setting and characters somehow manage to make the reader feel as if they’re back among friends, and the main characters–Conor, Samantha, and Ali, Conor’s daughter–are just delightful, and very easy to root for. . . . it's obvious that these two crazy kids are obviously meant to be together. This was my first book from Ms. Reinhardt, but definitely not my last!" "Dynamite High 5 Teacups! . . . If you love a sweet romance, a sensual and gorgeous hero and a strong, yet gentle heroine, and set in a small then this is the book for you! . . . I really loved this tale and would highly recommend this to all!" "Pure, well-written escapism at its best. Maybe it's Christmas, or the talent Reinhard utilizes to pen characters you can't help but dream along with. Just like Conor and Sam, you'll be tempted to believe love deserves second chances, and it's never too late to start over." "A Small Town Christmas is a quick read with a great setting and great characters. Add this to your holiday reading lists!" "I feel like these characters have lived before we enter their lives in this installment of the series - a credit to the author whose writing a four book arc of their adventures! . . . 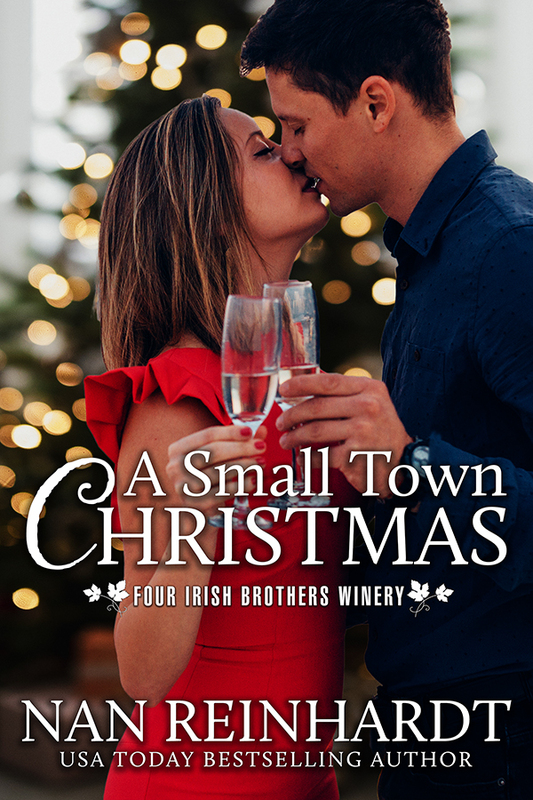 Her instincts for setting the scenes to be a bit random and allow her characters the room to breathe is one of the things I loved most about reading A Small Town Christmas!"